Bangor’s school superintendent said Tuesday that a substitute teacher mishandled a fifth-grade student’s question about the N-word, after two other students in the class at the Fairmount School reported that they felt uncomfortable during the impromptu discussion about racism. A Fairmount School fifth-grader last Friday came across the N-word while reading a book during the class’ free-read period, according to an email the school department later sent to parents. The student, who was reading “Ten True Tales: Young Civil Rights Heroes” by Allan Zullo, went up to the teacher’s desk at the front of the classroom to ask the substitute the meaning of the word. The substitute teacher told the student the term was inappropriate and disrespectful, Superintendent Betsy Webb said. As the student continued to stand at the front of the classroom, the teacher also recommended that the student look up the word and was trying to explain racism to the student when two other students in the class overheard and reported to another adult, a classroom support person, that the exchange made them uncomfortable. A parent of one of the students present in the classroom confirmed that the student who asked the question about the N-word was black. 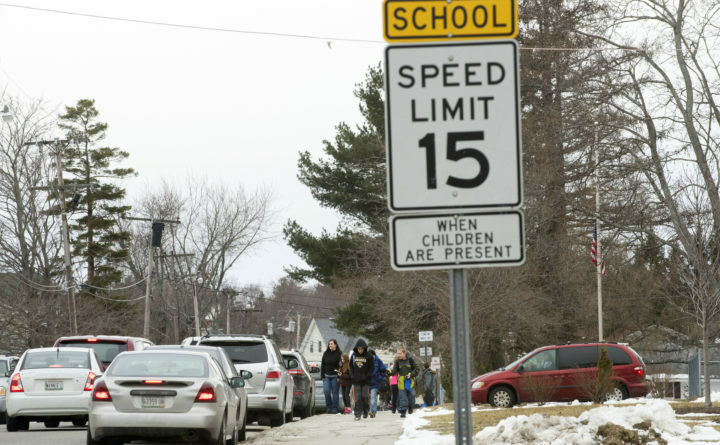 The principal at the Fairmount School, which serves students in fourth and fifth grades, and the Bangor School Department’s affirmative action officer are investigating the incident. Whether the school department takes action against the substitute teacher won’t become public knowledge, as personnel rules prohibit public discussion of the substitute’s employment status, Webb said.